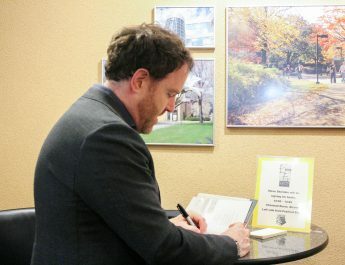 The McDonough Museum invited the public to Salon de Fleurus on Friday, an exhibit where they experienced the atmosphere and discussion of Gertrude Stein’s historical forum for contemporary art. The McDonough’s raw space gallery has been transformed into an interactive replica of the 20th century art collector’s Parisian salon. Hanging above the lounge space are hand-painted reproductions of the pieces that were once exhibited in Stein’s collection. Visitors were welcome to observe the paintings, read literature related to Stein and watch some historical footage of that time and culture. Leslie Brothers, director of the McDonough Museum, said Gertrude Stein was not only known for creating one of the best collections of modern art. “She established a format, specific reading and comprehension of its history,” Brothers said. The salon concept extends beyond historically contemporary art with exhibits from modern artists on display as well. Adjacent to the salon is “Back to the World,” a visual response to the “Tender Buttons” writings of Gertrude Stein by art students at Youngstown State University. 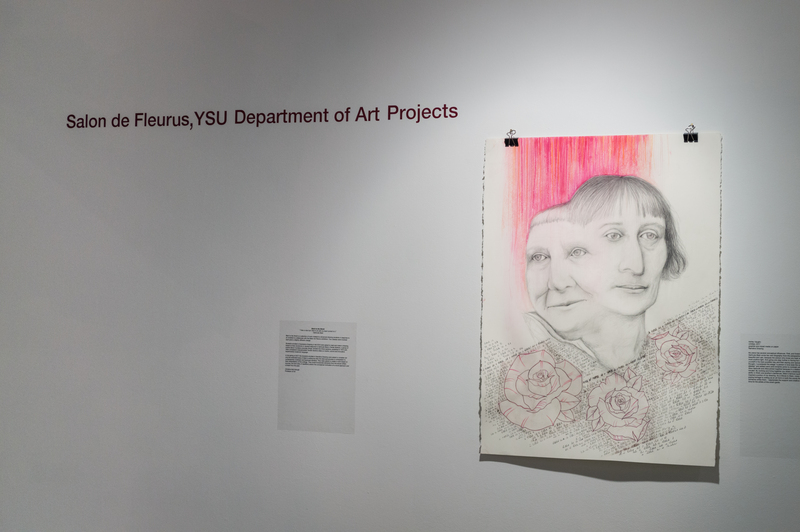 Christine McCullough, art professor at YSU, said the writings are the most well-known of Stein’s and has three different sections, including objects, food and rooms. “‘Tender Buttons’ happens to be one of the great experiments of modern verse,” McCullough said. Included with that installation is “Veiled Tolerance,” which combines portraits by McCullough and an installation by Alison Begala. It is a discussion of acceptance in modern society which seeks to challenge misconceptions of the hijab and headscarf through empathy. “When a Muslim woman chooses to wear a hijab, it is meant to be her personal choice to wear it and in that decision, bringing her spirit closer to Allah, or God,” Begala said. 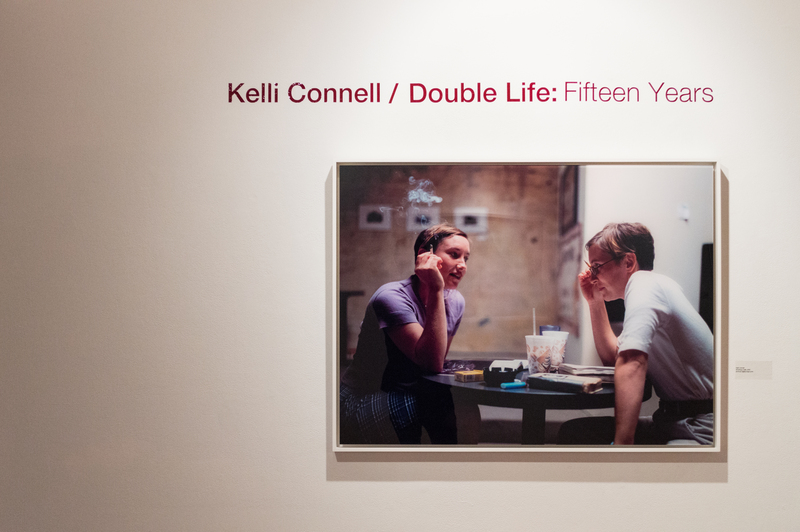 Above the salon is “Double Life: 15 Years,” which is a photography exhibit by Kelli Connell that examines the intricacies of relationships and how they are inhabited through compositions of mirrored figures. 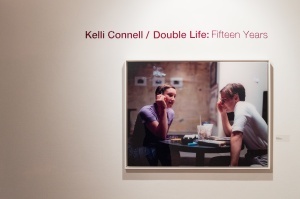 The composed figures in her pieces express various moments that could define a relationship through composition, Connell said. The show will continue until Nov. 3, hosting a variety of events and performances in that time. The Salon de Fleurus programming begins every Tuesday at noon and includes a screening of “Paris was a Woman” on Sept. 19. Interesting to know you promote Gertrude Stein, especially nowadays when you rarely hear her mentioned. She wrote prose in an usual format which is itself artistic I would imagine’ although I have only read short excerpts published in books about that era. I had not known about ‘Tender Buttons’ her poetry either. I live in Cape Town and exhibit here and paint using the name E Carleton-Smith.